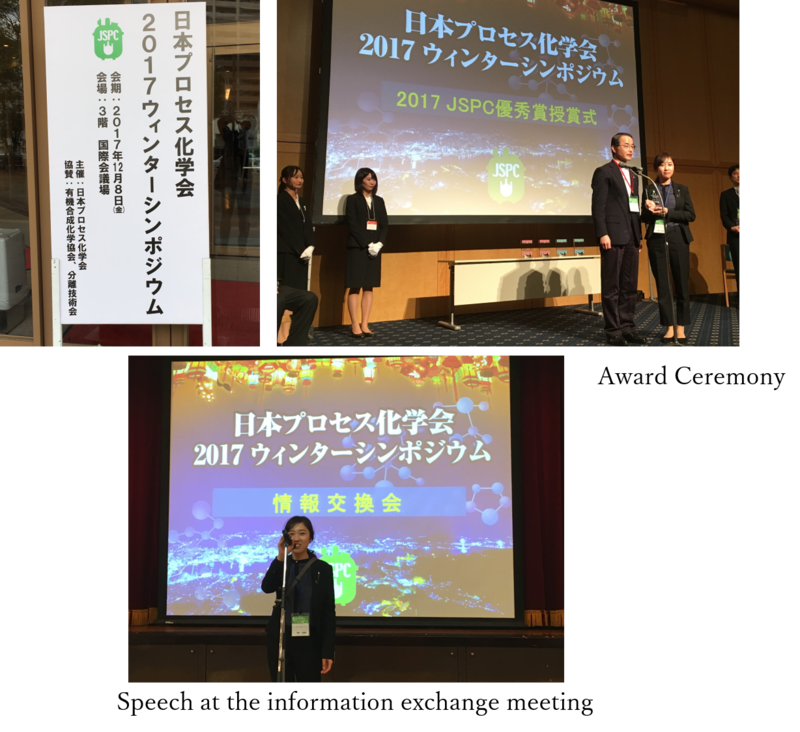 Sayuri Hirano of Chemical R&D Division gave a JSPC Award Lecture at the 2017 Winter Symposium of Japanese Society of Process Chemistry (JSPC) | Spera Pharma, Inc.
At the 2017 Winter Symposium of the Japanese Society of Process Chemistry held in Nagasaki city on December 8, 2017, the JSPC Award Ceremony was held for the awardees selected at the 2017 Summer Symposium. Sayuri Hirano and Mitsuhisa Yamano of Chemical R&D Division won the JSPC Award for Excellence, and Sayuri Hirano gave the awardee’s lecture, entitled “Process Development of an Asymmetric and Stereodivergent Route to Cyclic 1,2-Aminoalcohols”. At the presentation and the information exchange meeting, many questions were received from pharmaceutical industry and academic researchers who showed great interest and expectation for Spera Pharma ‘s high level capabilities in organic synthesis. Asymmetric synthesis and catalyst technology, which was the theme of the lecture, is one of the technologies that Spera Pharma inherited and possessed at the time of spin-out from Takeda Pharmaceutical Company. It has great prospects for solving problems in the synthesis process of pharmaceutical drug substances and is a research technology area that has received many enquiries from customers. We will further deepen our technology development in the future and make every effort to contribute to the efficient development and manufacture of drug substances.